British manufacturer and supplier of electronic and electrified perimeter security systems, Harper Chalice, has added to its dealer network with what it describes as “one of its most prestigious signing to date”. 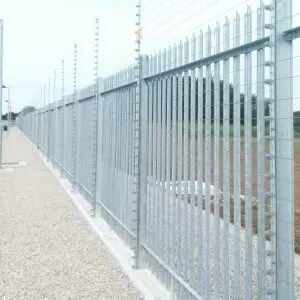 The company has secured prison perimeter systems installer Binns Fencing as an authorised dealer of its high security defence and detection systems and complementary products. The range is specifically designed to meet the growing demand for reliable protection of people, property and assets worldwide. Harper Chalice has enjoyed rapid growth in the past three years since Hackett led the purchase of a majority shareholding from previous owner and founder Graham Harper which are held on behalf of all of the employees in an employee ownership trust. The company grew 50% last year and has targeted a further 30% to 50% this year, and is looking to continue to expand its dealer network. Binns signed up after a number of successful installations using Harper Chalice product. “The partnership will enable us to offer prisons, utility sites and other high-security corporates, governments and organisations one integrated solution to manage security and safety risks effectively throughout their enterprises,” concluded Binns Managing Director, Adam Binns.